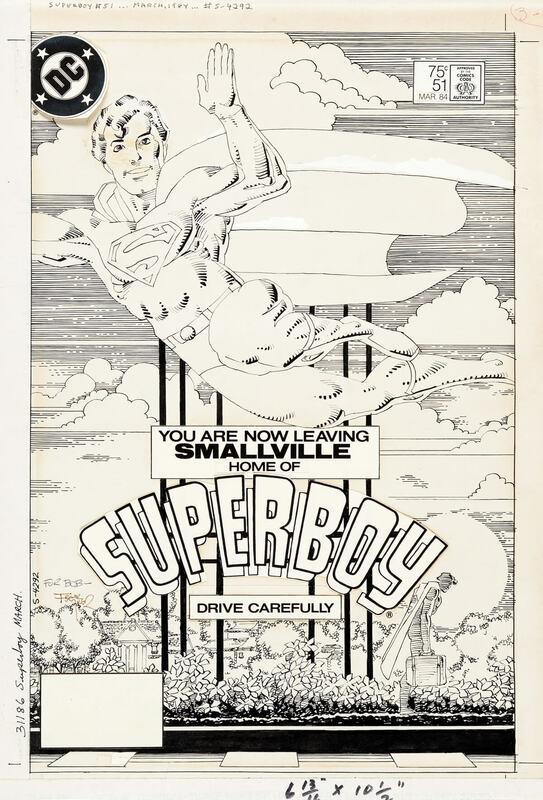 During his Ronin period, Frank Miller produced this great cover for The New Adventures of Superboy. The comic was a throwback to the simpler times of the 1950s and 60s in comics, so seeing a Miller cover was an unexpected and welcome surprise. 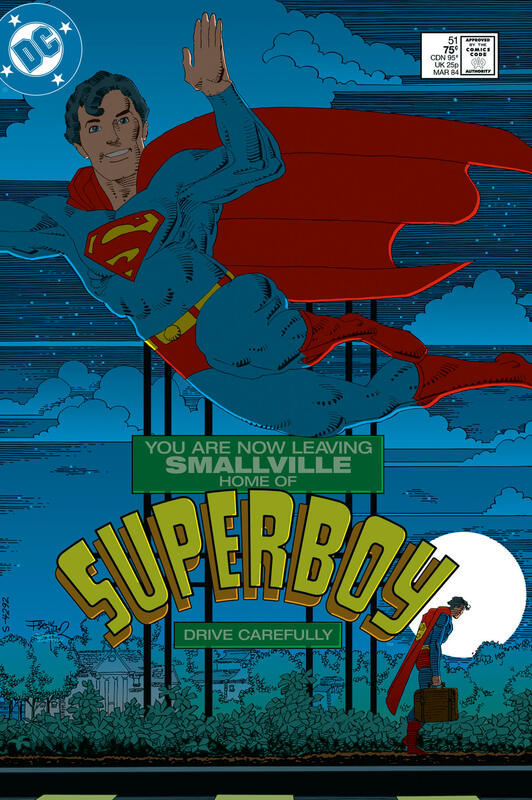 And as much as I liked the original colouring, I never thought Superboy would leave town in shame at sunset. No, if he’d been humiliated, he’d skulk away in the dead of night, in the shadow of his supposed greatness. 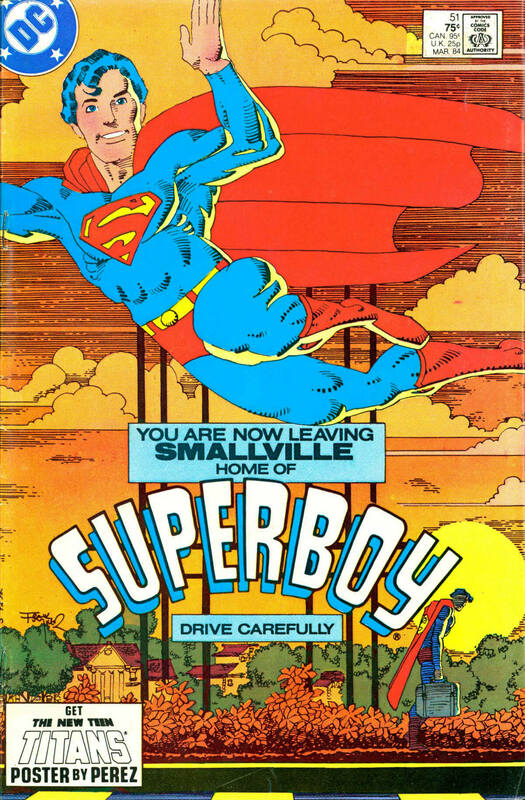 That is, if he wasn’t truly Superboy, because Superboy would never run away from anything. 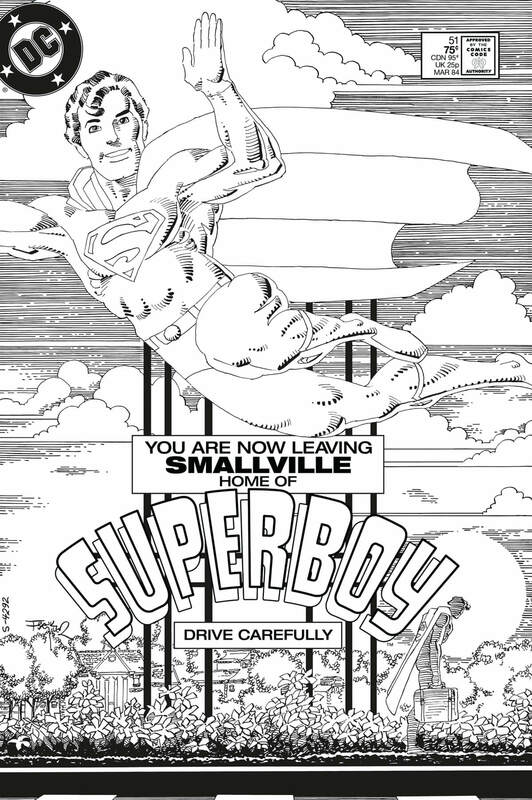 Miller re-drew Superboy’s head. 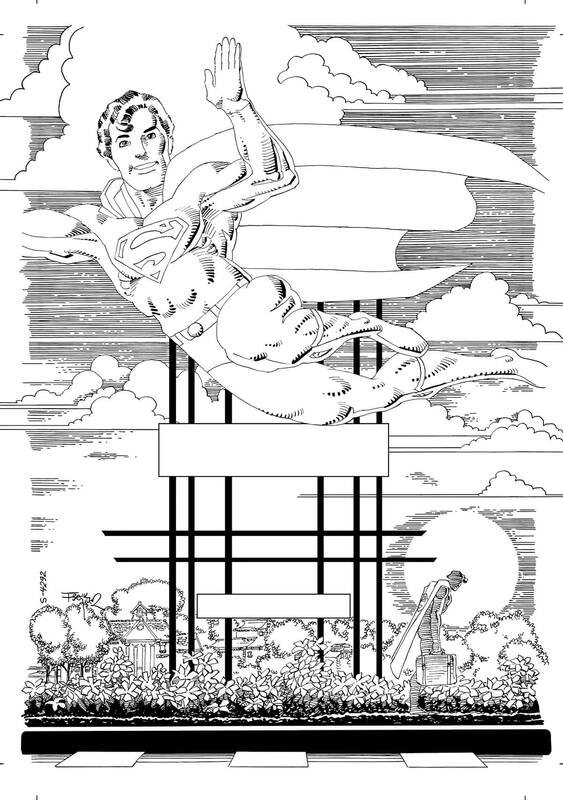 On the left, the original art. On the right, the patch. Art cleaned up. Bleeds extended, head patch placed on straight, trade dress and UPC box eliminated and art filled in.